It is with great sadness that BNA announces the untimely death of Professor John Coote on 27th November, 2017. 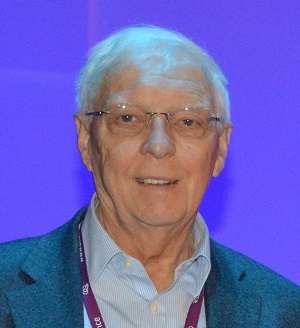 John had been a longstanding member and staunch supporter of the BNA since its early days as the Brain Research Association. His research focused on autonomic neuroscience and the wondrous ways the nervous system controls our vital organs. John was a ‘hands on’ physiologist to the last, with an encyclopaedic practical knowledge of the anatomy and physiology of the autonomic nervous system and of ingeneous ways to study it. He had an insatiable curiosity about all things neuroscientific. On ‘retiring’ from Head of the Department of Physiology in Birmingham some years ago, John embraced the lab full time and showed absolutely no signs of slowing down. He was always bubbling over with his latest results and ideas. He was a friend and mentor to many. Always kind, but never beating around the bush, he was never afraid to put his head above the parapet when he saw an injustice. Neuroscience has lost one of its best and many of us have lost a much-respected friend. 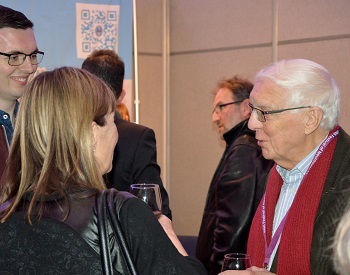 Photos of John Coote, left and top right, were both taken at the recent 2017 BNA Festival of Neuroscience, where John took part as enthusiastically as he had done for many years.